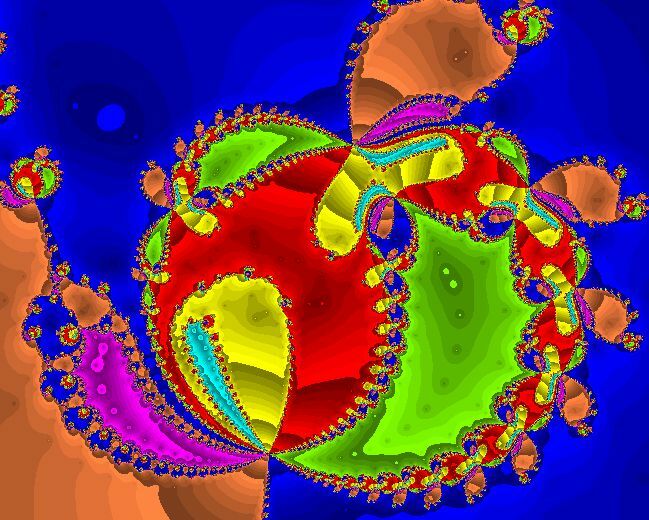 The links below are to Julia sets for various f(z). The initial points that appear to produce a bounded sequence are colored black. 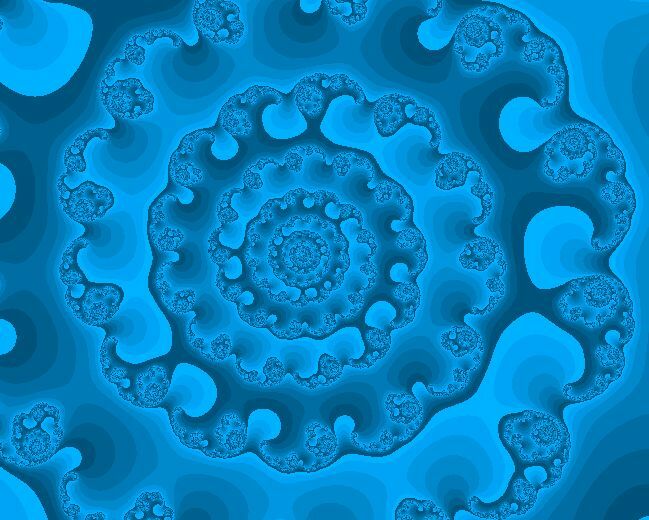 The other points are colored according to how long it takes the sequence to start looking like it's headed off to infinity. 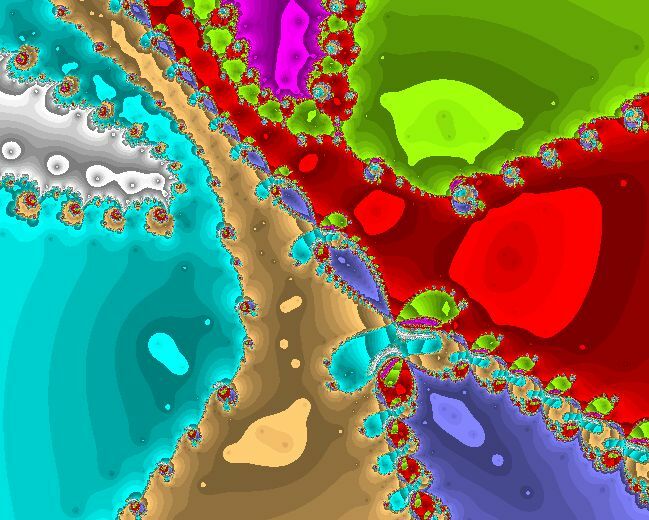 Julia set of z * (1 + (z - exp(1.4*i)) / 2); zooming in (different colors). 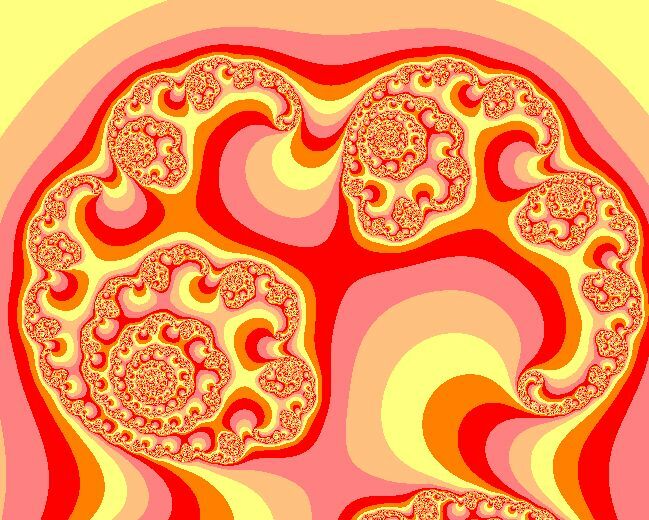 A Julia set for Newton's method is a Julia set for f(z) of the special form z-g(z)/g'(z). 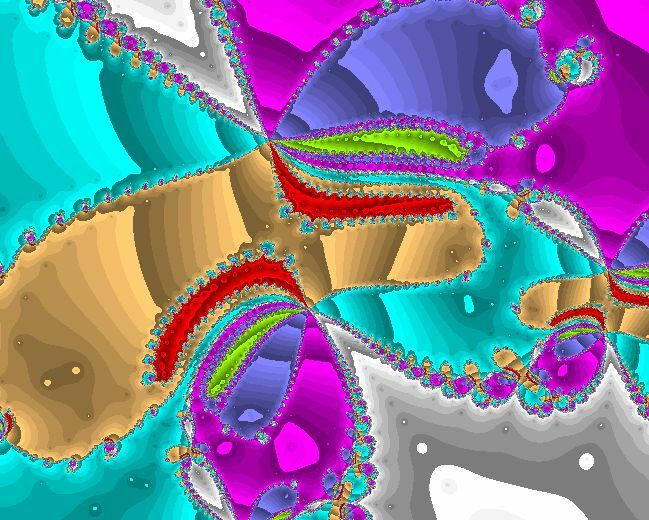 In nice regions, z,f(z),f(f(z)),... converges to a root of g. We color z according to which root, if any, the sequence converges to. For further reading, I recommend Simon Tatham's page. 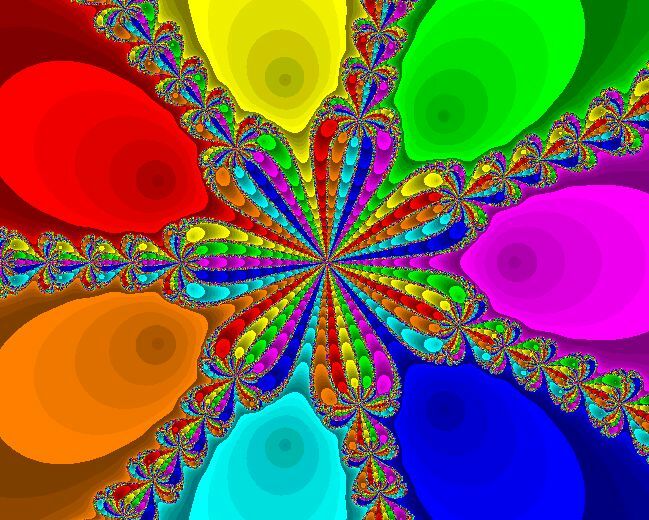 Newton's method on seven slightly asymmetrical roots; zooming in; zooming in again (different colors). 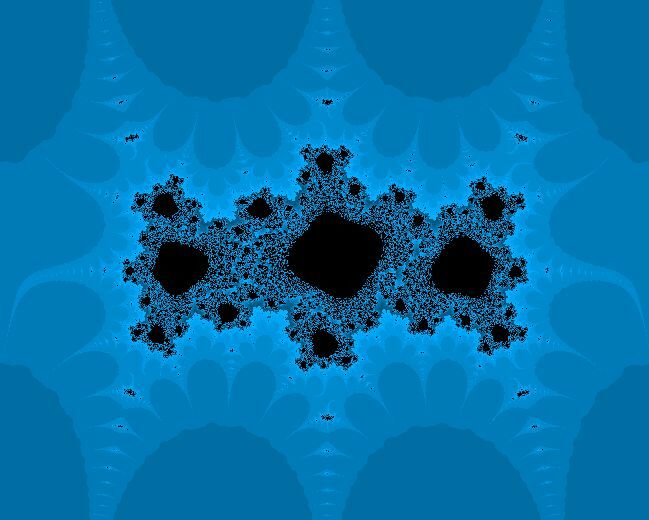 The link below goes to a picture of a tiny fraction of the Mandelbrot set, which is a little different from a Julia set: z is fixed at 0 and f varies over the family of quadratic polynomials z^2+c. 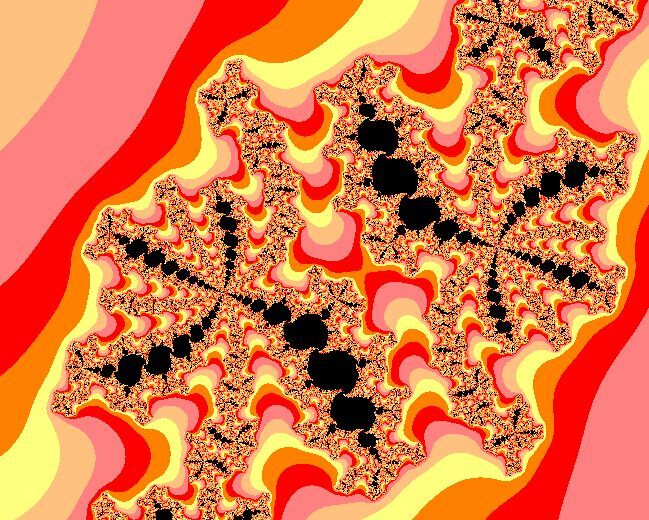 But there is again a fractal boundary between those c that produce a bounded sequence and those that don't. 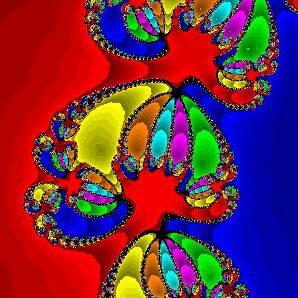 I produced the above images back in the day using a Windows application that I wrote in VB6(! ).